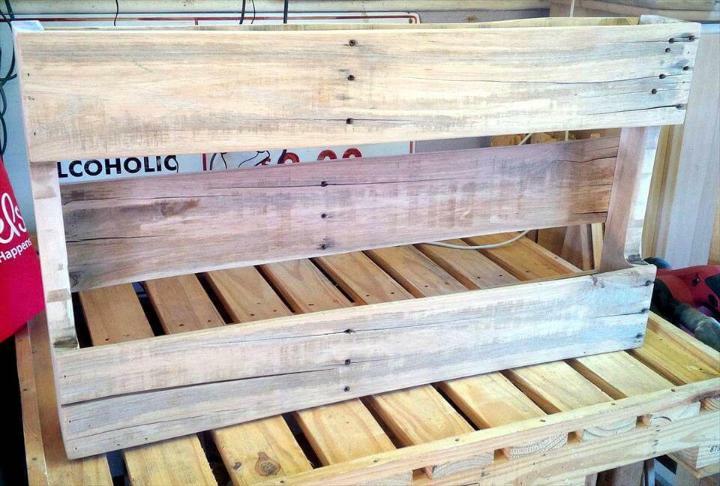 Building shelves is the easiest way to recycle pallets for some wonderful functional purposes! We need shelves everywhere at indoor or outdoor spaces to get our required stuff well organized on a wall area! However, shelves are also the ever beautiful additions to any wall area while going for amazing decorations of that particular room interior or space as shelves what we always hire for enchanting display of our items of decors! 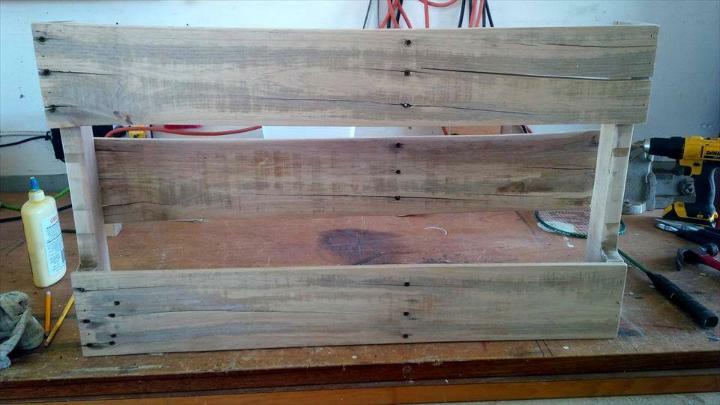 Here is this DIY pallet shelf inspiration if you want robust wooden wall hanging shelves in no time! 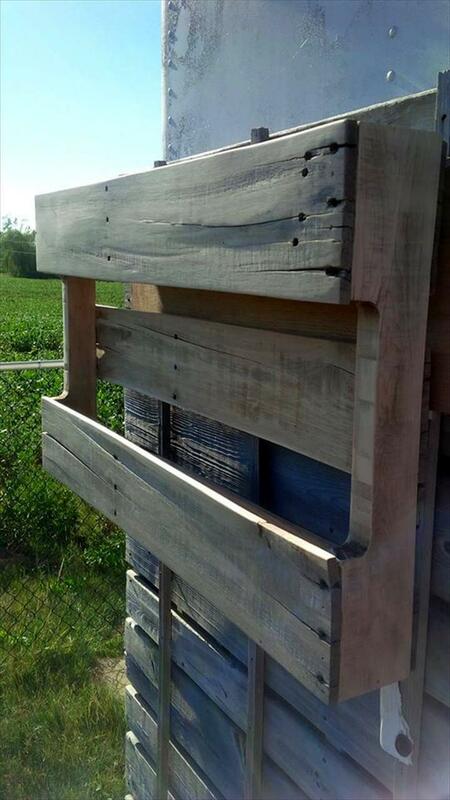 Separate apart a very bottom part of pallet board which would be really great to be hanged as wall shelf like shown here! Here this cut down size of pallet offers two shelving levels or built-in holding and a final top mantle which can also hold well your faux centerpieces, mural frames and art toys! Install this shelf to any wall area using the well suiting hardware and enjoy! 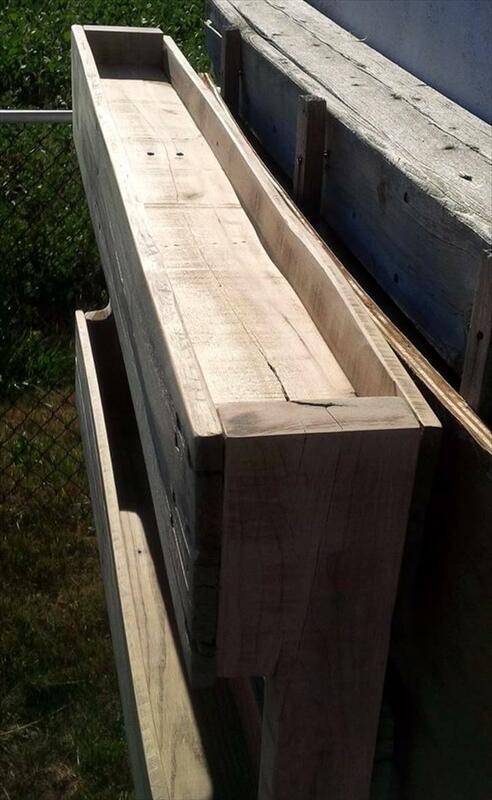 Mark the bottom of pallets having a whole shape of this shelf, and just cut it down to serve for the purpose! 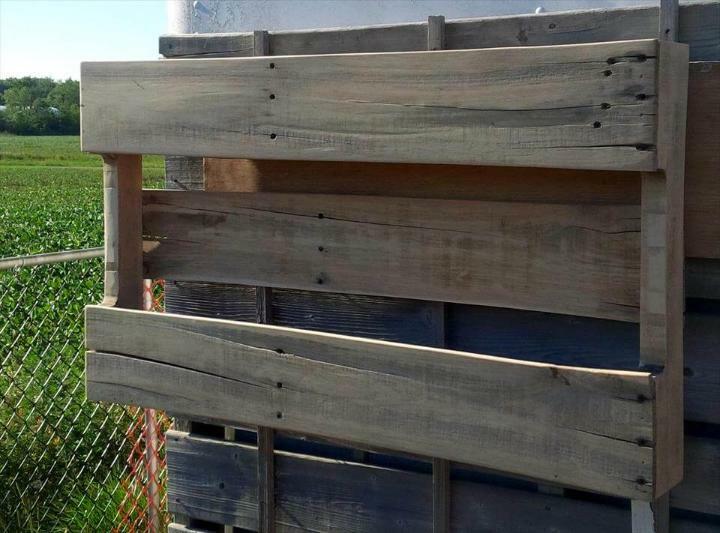 Be careful while cutting the ultra-rustic pallets as they may break! Sand smooth the cut down size making a beautiful shelf, and refit the plank tight you find loosely bound! Use power tools for quick assembly purposes! 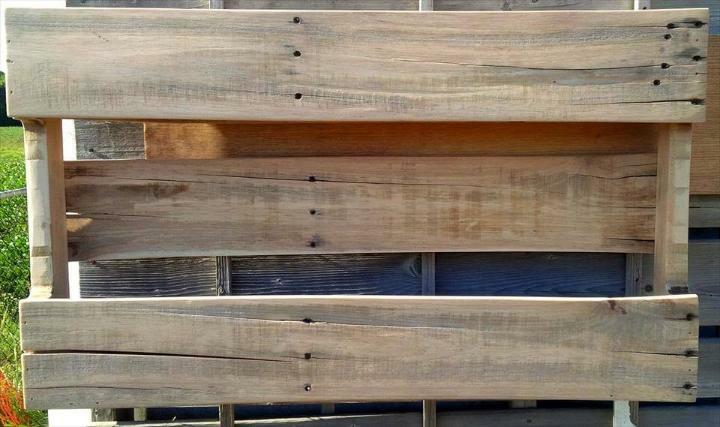 If you are happy with the rustic wooden look then just install it to decided wall area using the appropriate hardware! Make it tightly held over the wall area! This is mini shelving unit provides two shelves to hold your things and and items of interest nicely while top level would help to organize your decor or art pieces if any! After getting nicely installed to wall area, the shelf would be already to store and display the decided items, may serve also as a wall hanging outdoor bar! You can make it hold the garden pots also for a glam display and you can also make it well painted to let it serve as a decor itself on the targeted wall area!